There are times in my life when I become a bit obsessive compulsive. Like my never-ending quest for an afro (I refuse to believe that I can’t have a big round afro like every other girl I know and that one day that patch of completely straight hair will turn curly). Or when I decided to learn how to knit and proceeded to knit everyone that I know with a head a hat. I get that way sometimes. When I decide I’m interested, I become an expert and won’t stop until I’ve conquered this week’s epic challenge. Well my most recent OCD adventure was tea smoked chicken. Yes, for some odd and unexplainable reason I decided to turn my kitchen into a smoker because if they can do it at Cha Cha Moon (my favorite Chinese restaurant), by golly, so can I. I was going to smoke anything that might remotely taste interesting. Like with my other OCD attacks I turned to the best resource for learning any vague and obscure craft – the internet. I spent days scouring the net for method, ingredients, marinades and all things tea smoked chicken because I would be the next tea smoked chicken master chef. All the blogs touted how simple tea smoking at home could be. 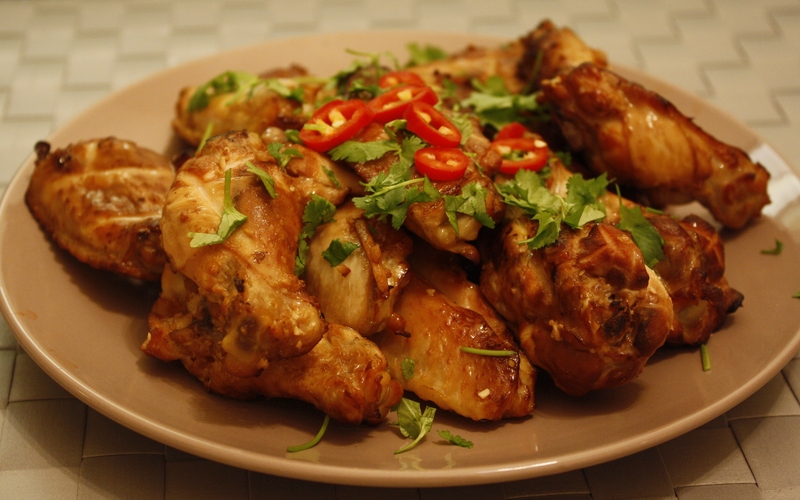 A simple concoction of tea, rice and sugar was all I needed to turn plain old chicken wings into a smoky sensation. I am a pretty good cook so how hard could it be? 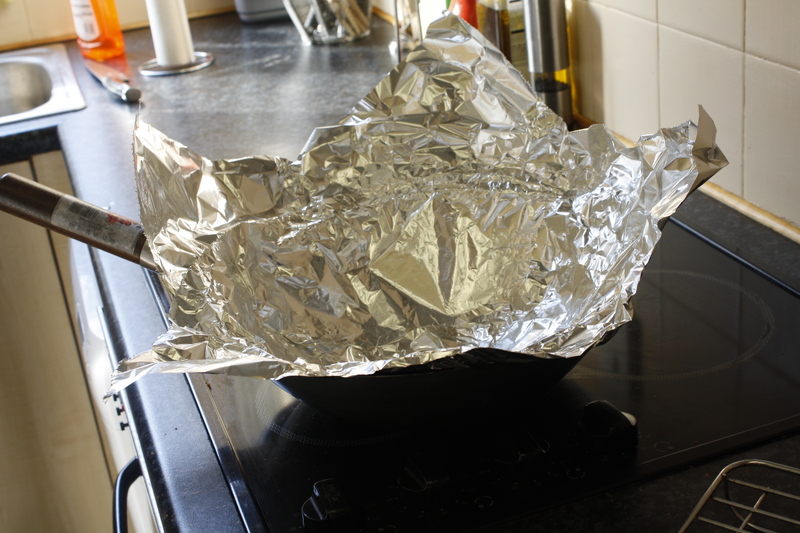 I started off by lining my wok with aluminum foil. If I hooked that thing to my TV I could probably watch the evening news in Beijing. 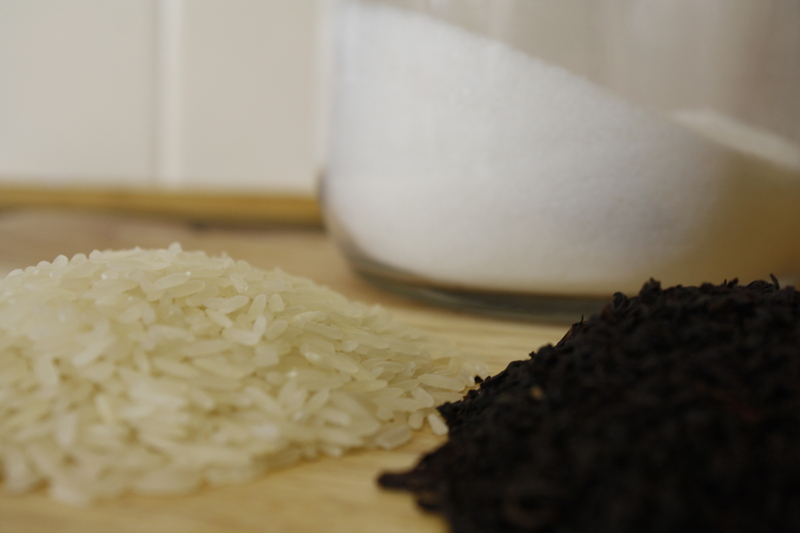 I added in the amazing smoking agents: uncooked jasmine rice, jasmine tea, and some sugar. Note: No one in the blogosphere knows what the sugar does, everyone thinks it’s pointless but every recipe called for it so I too drank that Kool-Aid too. We were super excited when the contraption started to smoke. We added the wire grate and quickly covered the contraption with foil. Smoke began seeping out of everywhere. We frantically covered all the gaps with sheet upon sheet of foil and the exhaust fan was struggling to keep up. 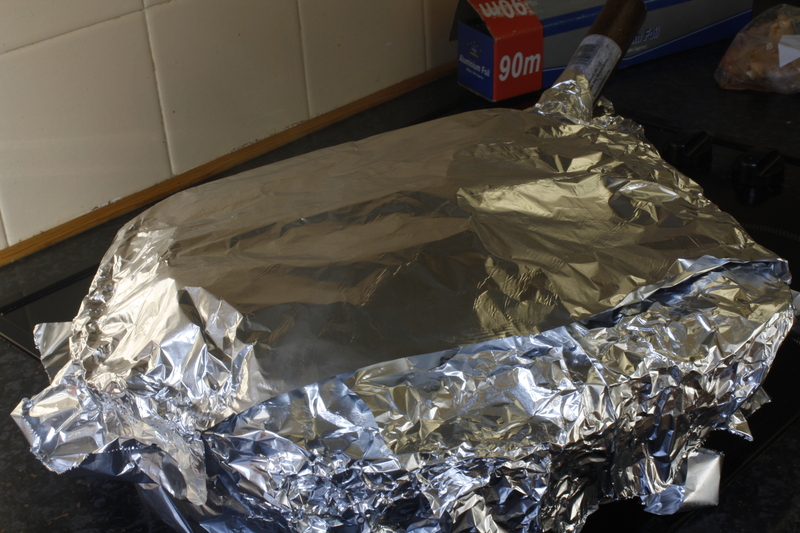 All that could be heard was the metallic crunch of foil as we tried to pinch the seams of our smoke leaving ship. Luckily we had a rare 60 degree day in London so we opened the window to keep from suffocating. After the frantic ripping of and scrunching of foil, we finally plugged all the holes. Who knew cooking could be so harrowing. After 20 minutes of smoking and 30 minutes of resting, the milky white, slimy skin of the chicken, that we nearly asphyxiated ourselves to make, underwhelmed us. 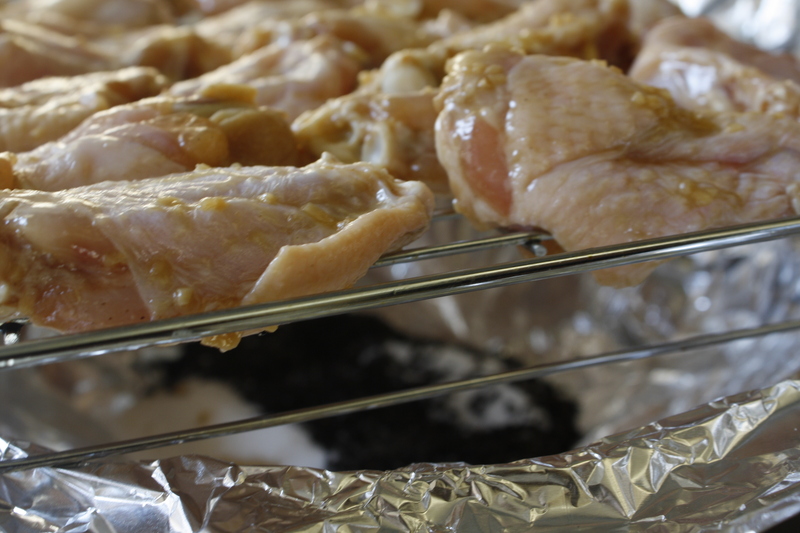 I was, however, prepared for this becuase many of the bloggers warned that a tan in the broiler might be necessary. I put the sickly looking things in the “grill” (at this point I must add a side note on the “grill” which is supposed to be the broiler but since we don’t have gas ovens in the UK, it’s just the electric heating element of the oven getting extra hot and red and pretending to really do something) for 30 minutes. This did nothing but put a little beige on them. They went from pale white to “light skinneded” which wasn’t much better. But every cook knows that it’s not what it looks like, it’s how it tastes that’s important. Survey says…ehhh. A big fat X. They were horrible! I ate two (the second one only to confirm that they were actually as bad as I thought). I tried to rationalize it but in the end, I decided I’d be better off with leftovers. No flavor (despite marinating in soy sauce, ginger, garlic and rice wine for two hours) and the skin was still slimy despite being broiled (I told you that “grill” thing doesn’t work). Yes, I know I made them look tasty but the verdict – EPIC FAIL! I took the photo before I actually ate them and this proves that you can’t even believe what you see sometimes. The other lesson is that even the best of us have a bad dish every now and then…even little miss OCD. Tea smoked chicken has won this round but I’m going back to my corner to regroup and next time, I’ll come back swinging. This story isn’t over yet. WHAT A STORY!…sounds like my kitchen activities.
! You go girl ! Sharon and I are looking forward to the next round where you come out with your afro – Floating like a Butterfly and Stinging like a Bee. And believe you me, I know what OCD is like. how do you expect to smoke anything in 20minutes? more like an hour. Yep it works out to about an hour. The heat was on for 20 minutes and then it remains sealed in he smoke after that. That’s what I decided based on the research I did. Maybe I need a proper smoker.